Like, Share, Love? What do all of these terms mean for you and your business? Find out when we kick-off our new Hattiesburg workshop series on April 23! 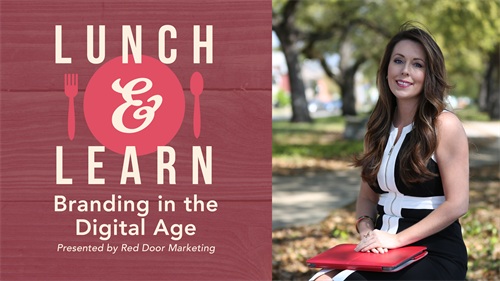 CEO and founder of Red Door Marketing Agency, Brook Jones, will guide you through the process of leveraging your social media accounts, connecting your brand to your consumer, and enhancing the customer experience the smart way! Registration will begin at 10:30 a.m., followed by lunch and the Branding in the Digital Age presentation and ending with a Q&A session. Tickets will be $35 and include lunch.